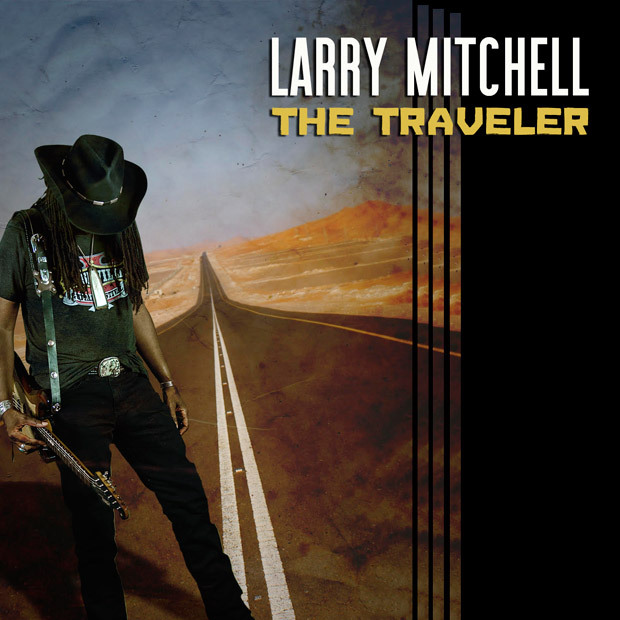 For payment arrangements, please send email orders to: . Please specify the item name and quantity. Soon afterwards, you’ll receive a Paypal invoice from us for payment (A Paypal account is not required to make payment). Orders will be shipped upon payment. 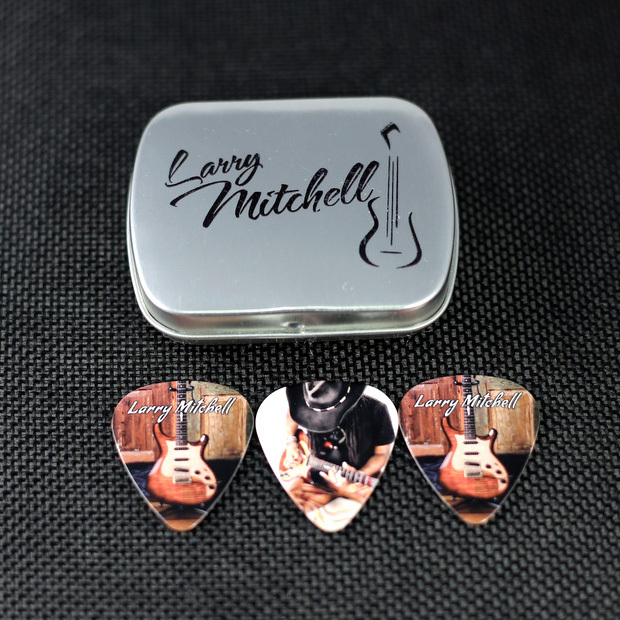 Double sided full color Larry Mitchell pick with 17 inch cord with a 2 inch extender. Hand Crafted Colors may vary slightly. 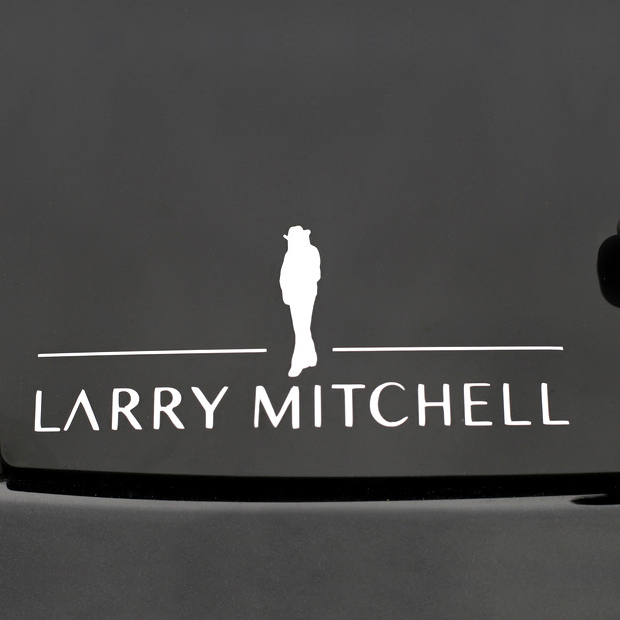 Amazing detailed mini replica of Larry’s costume Ibanez Blazer. 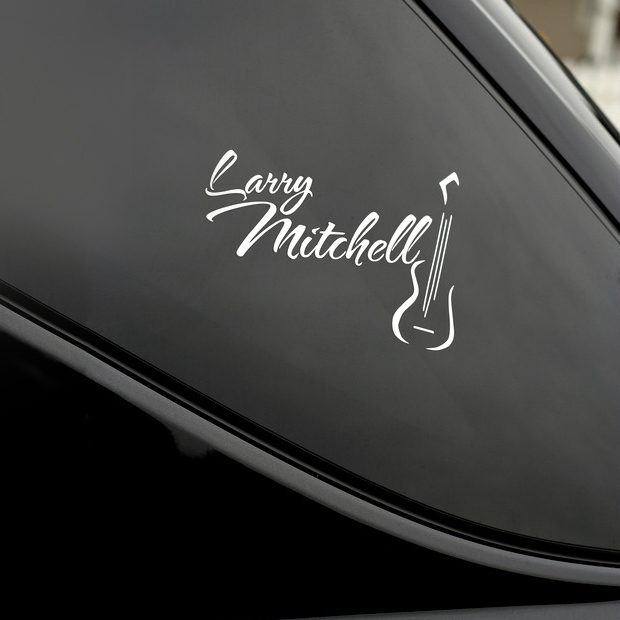 Incredible details embellish this little beauty. 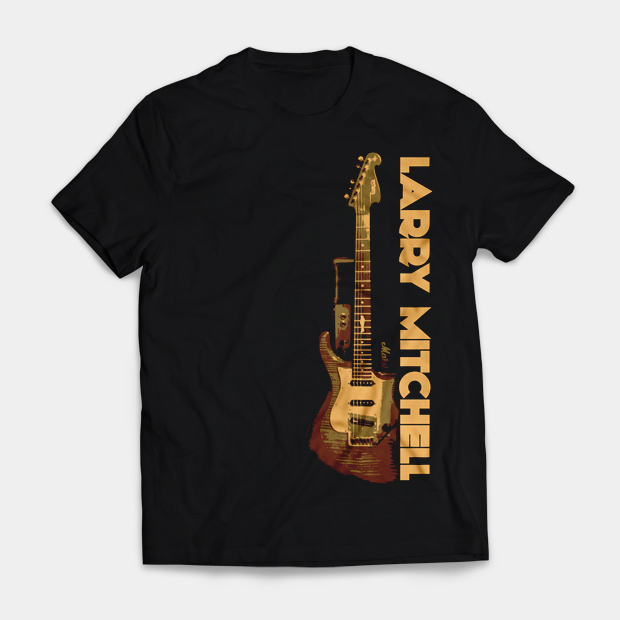 Complete with strings, wah wah bar, tuning pegs, guitar strap buttons, gorgeous wood grain and finish, and Larry Mitchell autograph on back of neck. 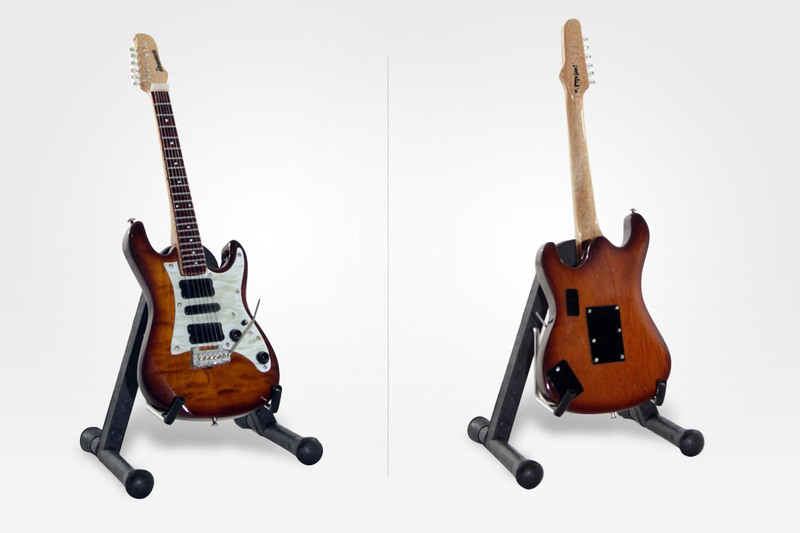 A guitar stand even accompanies it. 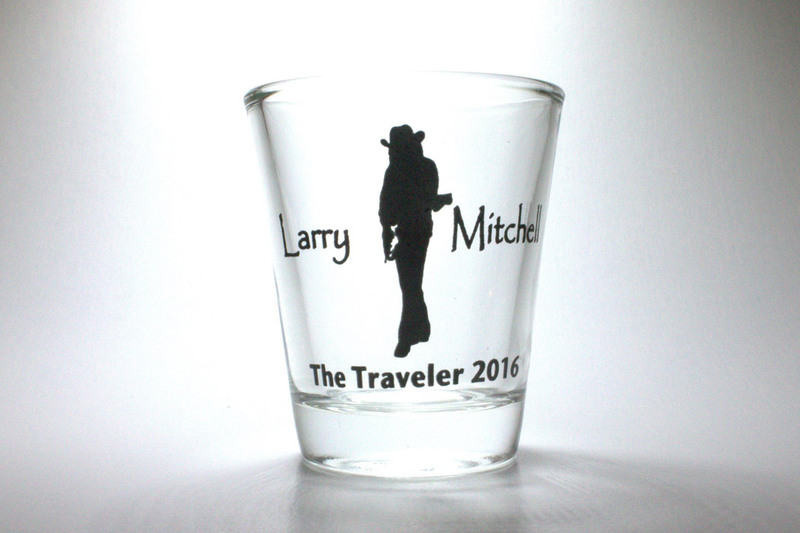 A must have for the most dedicated LM fan and mini collector. 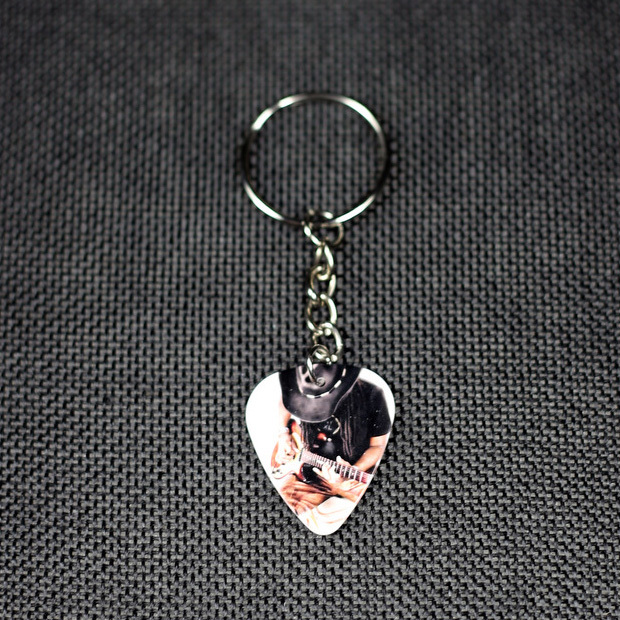 Very popular item! 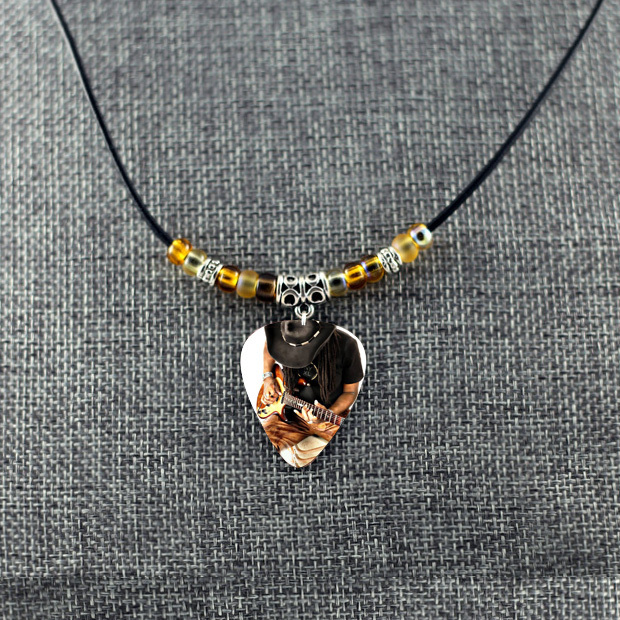 Only 50 were produced and a very limited 4 remain for purchase. 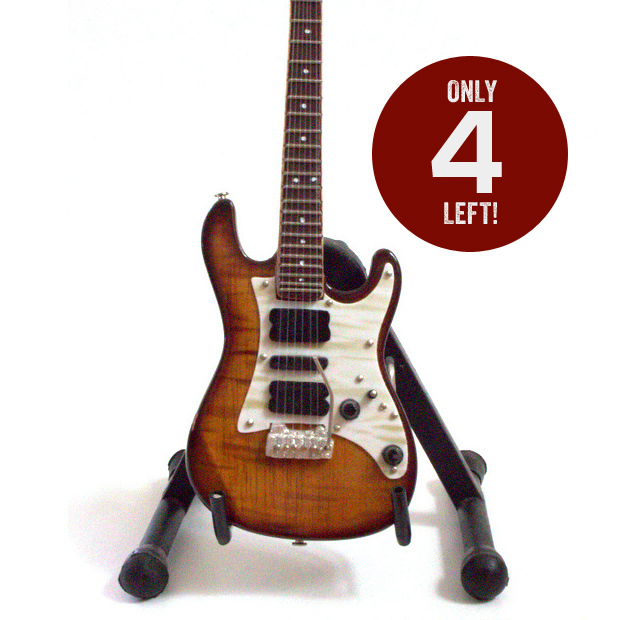 Don’t miss out on the opportunity to own this fun collectible. 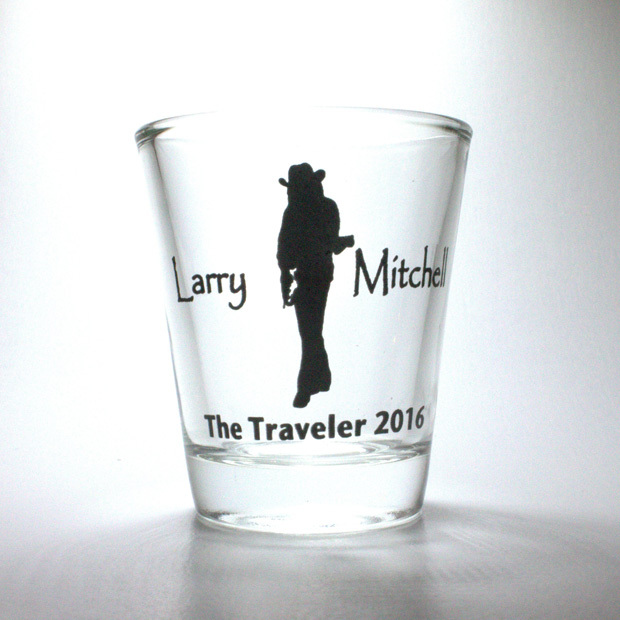 The Larry Mitchell Shot Glass for 2016 celebrates the newest album release The Traveler. Once they are gone. They are gone forever. 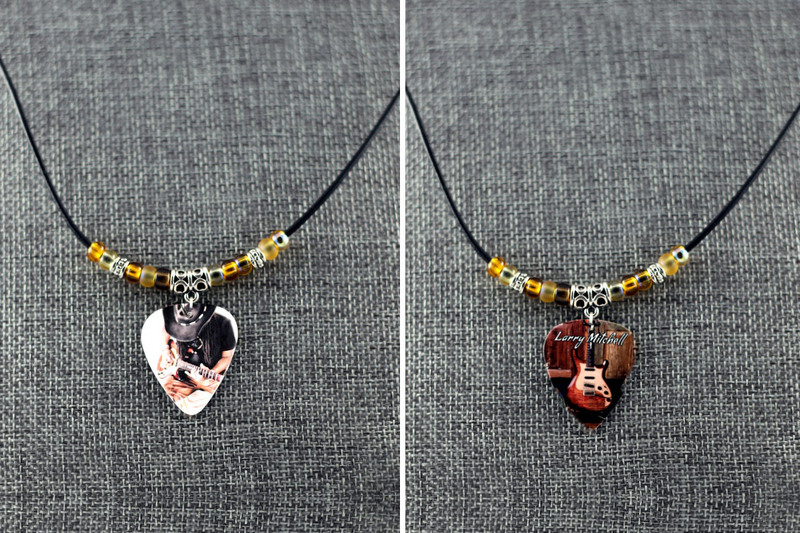 Collectors, don’t miss out!